BRAND NEW WITH TAGS!! I bought this gorgeous gown, but the style just was not right for the style of our wedding, so I purchased a different one. This layered skirt with lace appliqués is STUNNING and the lace bodice is ridiculously soft. I purchased extra buttons ($96 retail) for the back as a “just in case” and I will throw those in as well! 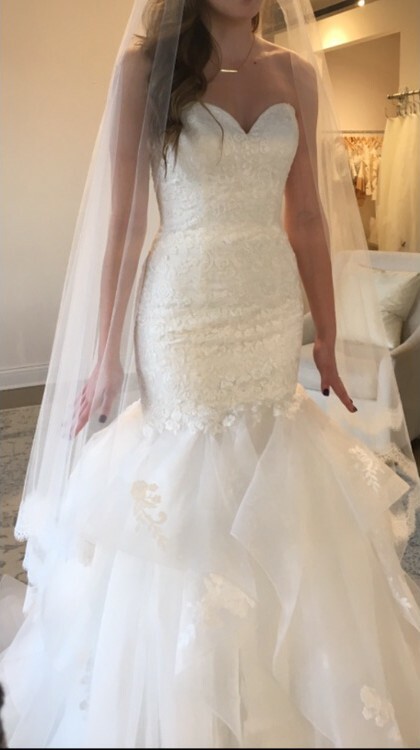 The original Adonis had a softer sweetheart neckline, but the salon I went to chose to order a sample with the deeper sweetheart (as shown on my gown pictured here), so that upgrade has already been made to the gown! Please note, this was not an alteration, as the salon ordered according to the sample. No alterations have been made to the gown. Still unworn (except at initial pickup from the salon) and in the original bag! This stunner deserves to be worn and loved! 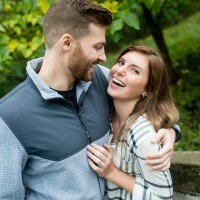 EDIT: My fiance and I just found out that he was promoted and we are moving cross-country for his new job right after our wedding (talk about a stressful time! ), so please don't hesitate to make an offer! We would love to send this to someone before the big move!